Raging debate: Does culling wolves curb poaching? A researcher in Norway launched the latest salvo Wednesday in a fierce, sometimes caustic debate on how legal hunting impacts the poaching of large predators. Many regional and national governments in Europe and North America have long promoted the controlled killing of wolves, bears and big cats—some of them endangered species—as a way to discourage illegal hunting. Farmers, meanwhile, favour such policies because they decrease the number of predators preying on livestock. A controversial study published last year challenged the rationale for these practices, reporting that poaching of wolves in two US states—where policies flipped back and forth a half-a-dozen times within a decade—increased when culling was permitted. The findings were widely reported, and hailed by conservationists as evidence that state-sponsored culling is bad policy. But Audun Stien, an applied ecologist at the Norwegian Institute of Nature Research, told AFP this research has "severe shortcomings" and "should be ignored". "The conclusion that poaching increases with legal culling is without empirical support," he said. Both the original study—led by Guillaume Chapron, an researcher at the Swedish University of Agricultural Sciences—and Stien's critique were published in Proceedings of the Royal Society B, a leading scientific journal. He accuses Chapron and his co-author of selectively ignoring earlier research from Wisconsin—the only other study on the question—that appears to reach the opposite conclusion. Chapron notes that he cited the study, and explicitly rejected its findings as lacking in rigour. 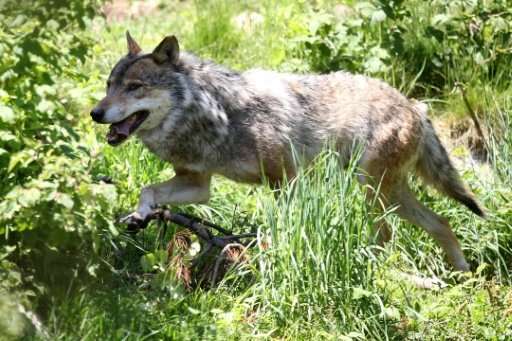 Stien's other criticisms are methodological, and turn on whether reproduction or growth rates are the best metric for declines or increases in wolf populations. Reproduction tracks the number of newborns, while growth also takes into account the number of deaths. "My conclusion is that there is negligible evidence for legal state culling resulting in increased levels of poaching in these data," Stien said, referring to Chapron's study. For conservation scientist Chris Darimont, an expert on large carnivore management at the University of Victoria in Canada, Chapron's conclusions emerge unscathed, perhaps even strengthened. "I find Stien's criticism unconvincing," he told AFP. Indeed, trends highlighted in the critique "actually support the general hypothesis ... that culling can reduce population growth," he said. The apparently narrow academic quarrel reflects a wider debate with entrenched interests on either side, Darimont noted. "I find it interesting that when researchers confront long-held and fundamental assumptions in wildlife management—in this case, that 'tolerance killing' actually helps populations by reducing poaching—there is so much criticism of the work," he said by email. "Challenging the status quo ruffles a lot of feathers as well as threatens wildlife managers with the possibility that their strategies to date might have been misguided." When the new research also threatens powerful lobby groups, such as hunters, "the criticism is often especially pronounced," Darimont added. As if to illustrate the debate, a Norwegian court on Tuesday issued an injunction stopping the hunt of 12 wolves in the Oslo region—five of which have already been killed—pending a final decision on their fate. The wolves are caught in a tug-of-war between sheep farmers and environmental activists. There are 105 to 112 wolves in Norway, according to the latest count. The species is at risk of local extinction. Culling poachers curbs poaching. Problem solved.